The U.S. Trade and Development Agency awarded grants to three electricity sector entities in support of their efforts to deploy clean energy solutions in the Dominican Republic. These projects, which represent the Agency’s renewed focus on its partnership with the Dominican Republic, will help meet the country’s energy demands in an environmentally responsible way. “USTDA is pleased to promote innovative platforms and state-of-the-art U.S. technologies that can enable greater use of renewable energy generation and increase power reliability in the Dominican Republic,” stated USTDA Regional Director Nathan Younge, who witnessed the grant signings by U.S. Ambassador James Brewster, Jr. and representatives of each grantee. 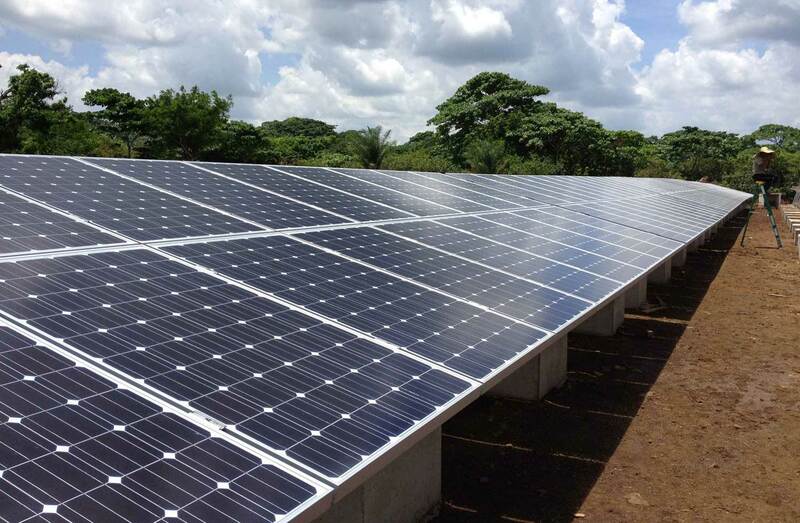 Working with Trace International, one of the key installers of solar photovoltaic (PV) systems in the Dominican Republic, USTDA is supporting the development of a third-party financing model for solar PV systems. The technical assistance will help Trace International develop an innovative financing mechanism that will enable large commercial customers to acquire solar PV systems for self-generation. This will unlock a key market segment that has remained relatively untapped and further business opportunities for U.S. companies who have developed solar technologies. USTDA also provided a grant to Consorcio Energético Punta Cana – Macao, S.A. (CEPM) for a feasibility study and pilot project to assess the technical and economic feasibility of deploying modular electric generators in CEPM’s area of concession. This grant will support CEPM’s goal of developing a distributed generation system that is capable of providing non-interruptible electricity to hospitals, hotels and other commercial sites. This project continues USTDA’s cooperation with CEPM, which last month joined a USTDA-sponsored technical visit to the United States to meet with U.S. companies that offer cybersecurity and access control solutions. Finally, USTDA is supporting the Coordinating Organization of the National Interconnected Electrical System’s (OC-SENI) efforts to evaluate technologies to improve reliability, lower service costs, and allow for real-time monitoring and control of power systems in the Dominican Republic. [. . .] The opportunity to conduct the USTDA-funded technical assistance with OC-SENI will be competed through Federal Business Opportunities (FBO). A link to the FBO announcement will be posted to USTDA’s website at http://www.ustda.gov. Interested U.S. firms should submit proposals according to the instructions in the FBO announcement.